Save TIME & MONEY with our Mini-Treatments! We know February is a tough month… for all of us! Winter seems to liiiiinnnnngeeeeeerrrrrrrrrrrrr. It’s freezing in the morning, dark when we leave work, it just seems like spring will never come again… But don’t give up! Now’s the time to take EXTRA care of yourself (workout, drink lots of lemon water, get your zzzz) and your skin (maintenance is key to maintain healthy skin, but you already know that!). Seems like so many things in our lives require maintenance! Our cars, our hair color, our lawns…. With so much going on, it’s easy to see why your skin slips your mind and falls to the back burner. 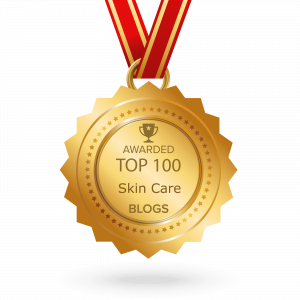 But what happens if skin care treatments get put along the wayside for too long??? The answer is simple, when skin isn’t maintained, it becomes older and more dull, blackheads come back very quickly, brown spots and fine lines start to return then grow. Enter: Mini Treatments. Our mini treatment menu was designed specifically for seekers of regular maintenance. Clients that participate in regular “maintenance” type treatments, have fabulous skin with less work. Mini treatments are efficient, most taking between 20- 40 min. They offer a price point that your significant other cant complain about and have very little down time so you are able to return to your life right away and no one is the wiser! 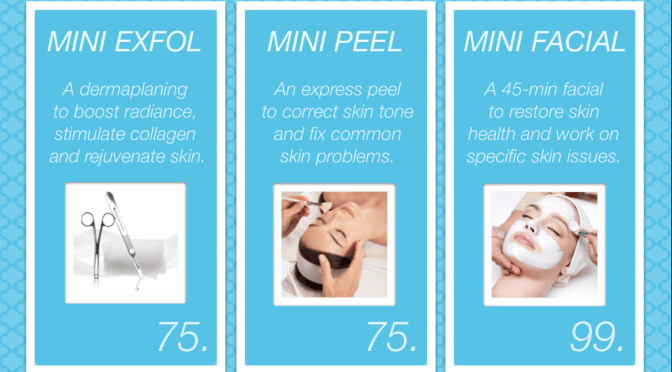 Keep those blackheads at bay with one of our Mini Peels. Hydrate and firm with a Mini Facial and Firming Enzyme treatment. When done on a monthly basis, mini treatments offer refuge from time consuming expensive treatments that are harder to fit into your busy life. Find out how fabulous your skin can be and book your mini treatment today!